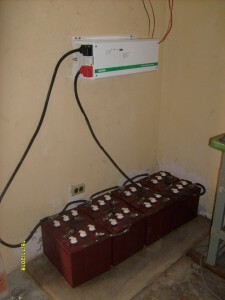 GHOC orphanage is in great need of electric. With 29 children they have to get up very early to start the process of getting ready for school. The cook should be showing up by 4 – 4:30 to start the preparation of breakfast. Needless to say, this time of morning, it is VERY dark. 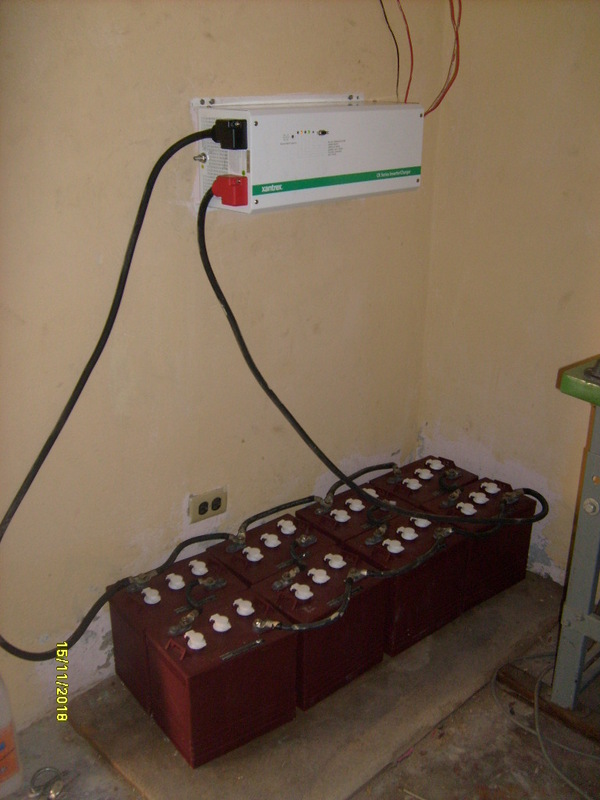 We are listing the cost of getting a small Solar System in place for the orphanage. 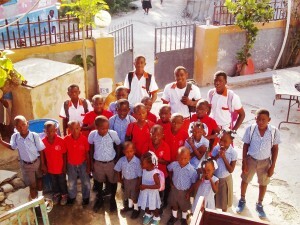 Garden of Hope Orphanage is run by Junior Belzince. 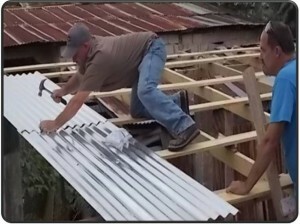 He has been involved with this orphanage since its conception nearly 10 years ago. 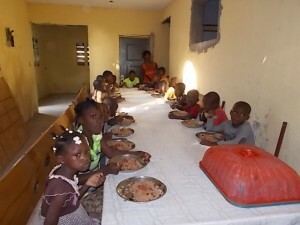 Approximately 1 ½ years ago the director abandoned the orphanage and children and Junior stepped up and tried to place all the children and feed them. Junior lives in our local neighborhood and has a tremendous heart for the kids. 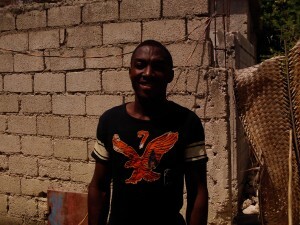 For a year Junior had the children in a house in Archia, nearly 30 minutes south. He’d asked Feed My Sheep for help as he had exhausted all his avenues for credit to feed them. We didn’t have very much “spare” money but, we helped where we could. We began introducing our teams to Junior and the children. They first team fell in love with the children and raised enough money to pay rent on a large house here in Montrouis for 2 years and its right in our neighborhood and right outside our mission house gate. This team, along with several others have met Junior and the children and fallen in love with them. They, along with Feed My Sheep are working hard at getting these children sponsored. If we could get donations equaling $500.00 that would be of great help. It could come in many $25 sponsors, or more per person if you would like. Just make sure to MEMO the check for GHOC Staff Pay and if paying with the Paypal link, make sure you list it somewhere what it is for so it can be used as designated. These are of the workers at Garden Hope of Children Orphanage. Most all of the children are sponsored and there is money coming in for food semi regularly, but now he needs to be able to pay the people that help him care for the children. Keep in mind that there are 30 children at this orphanage now. The old saying “it takes a village to raise a child” holds true here. 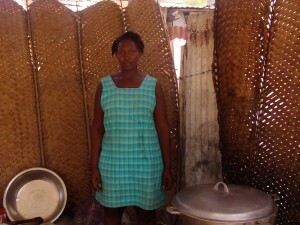 Middle: Siliana Sortune – She washes, helps with the children and stays at the orphanage at night to be with the “girls”. 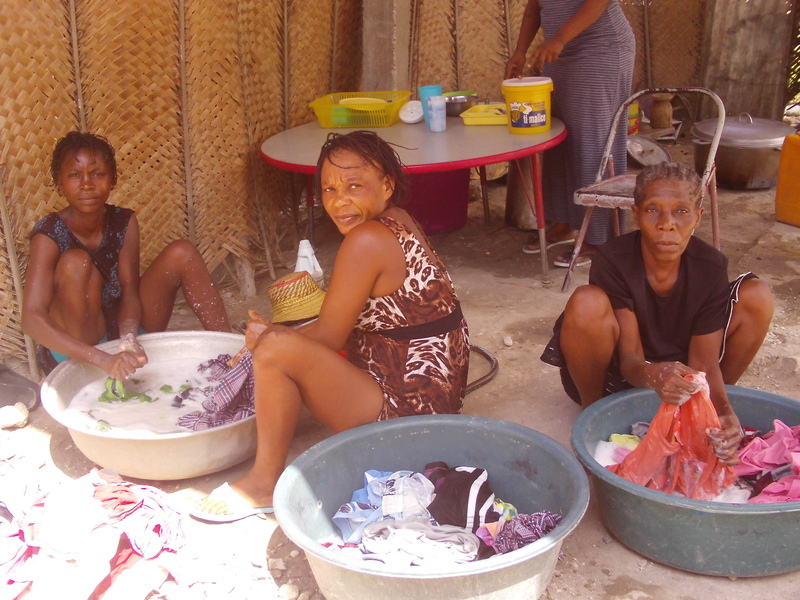 Right: Marieange Charle: Washes, bathes the children and other chores. Here is the main cook. 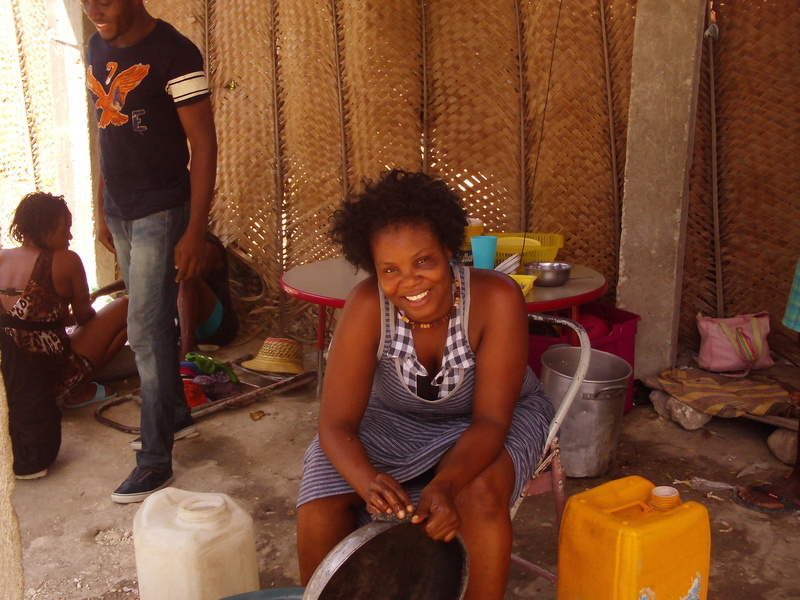 Marithe Mertulis: She is mostly the cook and cleans up from lunch. This is a big job since it’s done outside, on charcoal and for approx. 37 people. 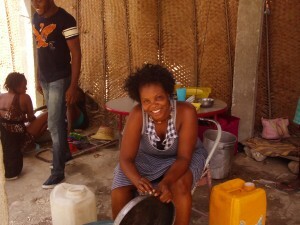 This is Marie Charles: She does most of the market shopping and helps the cook clean up after meals. 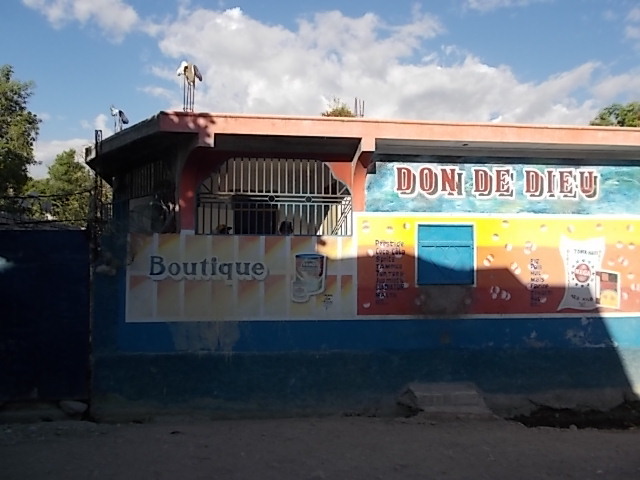 This is Duckenson Baptiste: He stays at the orphanage at night with the Male population and also serves as night security. He also helps the children with homework after school. 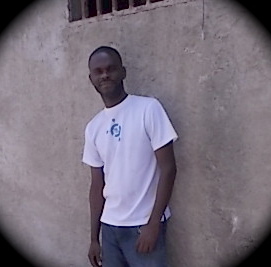 With this orphanage we need to do things a bit differenty. Junior has several women working for him to cook, clean and care for the children. It has been a very long time since any one has been paid. What we need to do here is get each child sponsored twice at $25 mthly/$300 yrly. One is for School Tuition and the other for “Foster Care”. 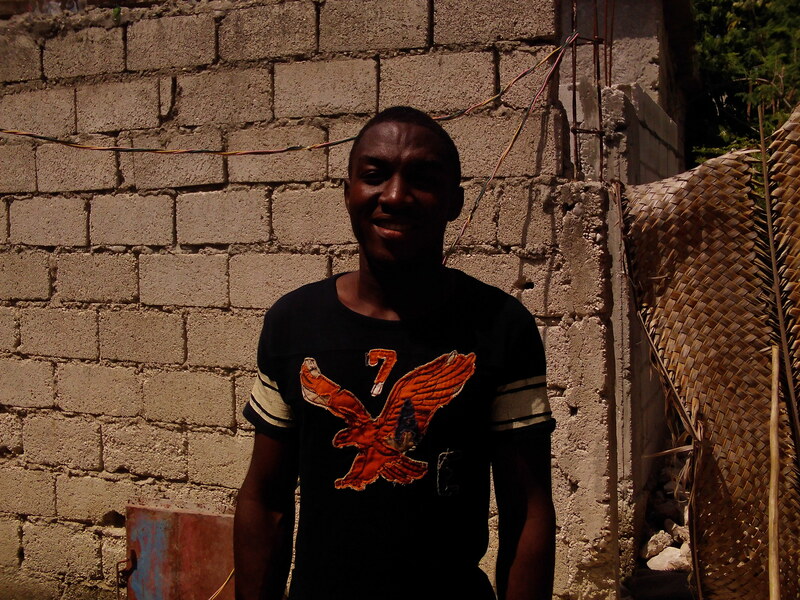 The extra sponsorship will make it possible for Junior to pay his staff and get extra needed items like charcoal to cook with, fruit, something other than rice, toiletries, etc. We do have a couple who is blessing Garden of Hope with a ton of Deliver The Difference fortified rice every 3 months, but no one wants to eat rice every meal. From the link below, please view photos of the children and copy names to paste into the PayPal link below. Some children are already fully sponsored, some partially and some not at all. Enter a specific child’s name. 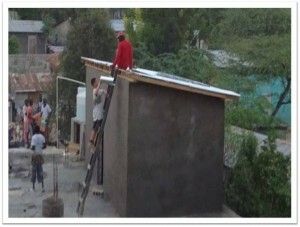 Garden Hope of Children Orphanage kitchen structure . 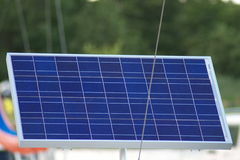 It needs to be enclosed to secure supplies and keep rain completely out. Cost to complete is Apprx. $1,500.00. Junior, the owner would also like to convert to cooking with propane instead of charcoal. That cost would be apprx. $1,000.00 to get converted. 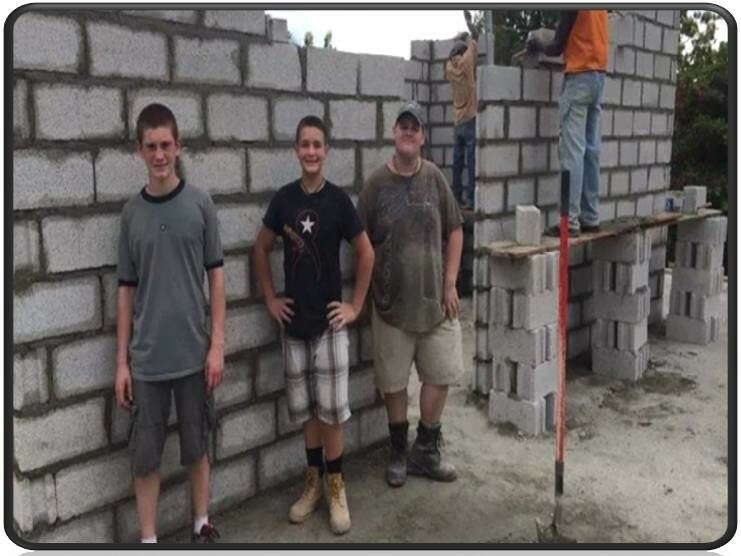 The young man in the middle, Jimmy Papperman from NJ was earning his Eagle Scout Badge and wanted to do a building project here in Haiti, where he’d been before and developed a heart for the needs of the people here. 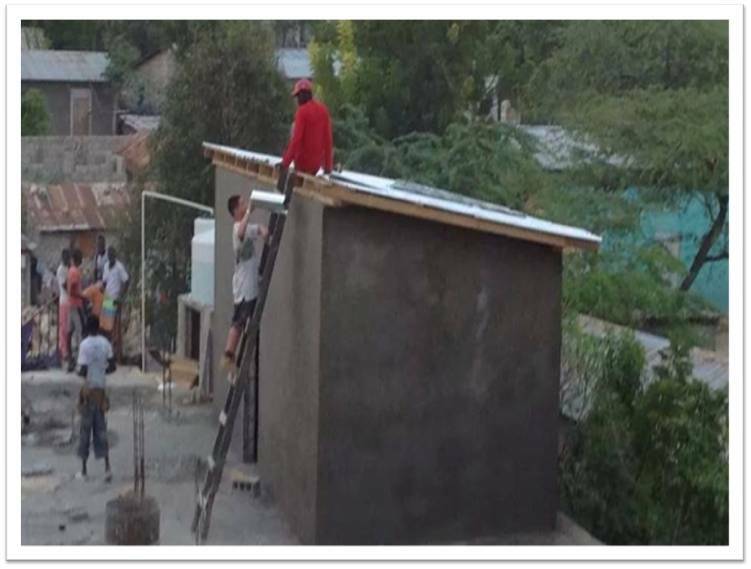 Garden Hope of Children Orphanage was in desperate need of a Shower/Bathroom and he raised the funds to build this big room on the roof. Way to go Jimmy and friends.